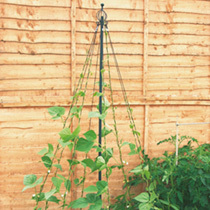 A versatile and elegant climbing frame that is quick and easy to erect. 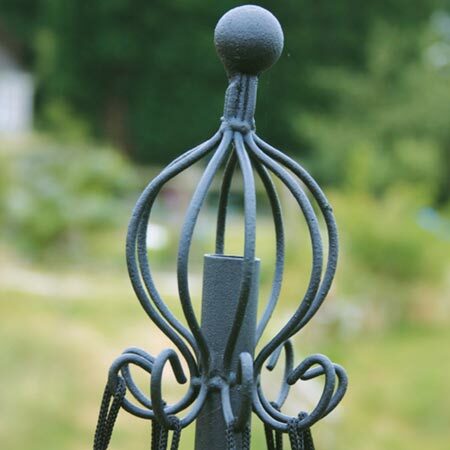 Made from powder coated steel with a decorative finial top, and 8 long-lasting polypropylene climbing strings (complete with ground pegs and ready-made loops to hook onto the 8 finial hooks). 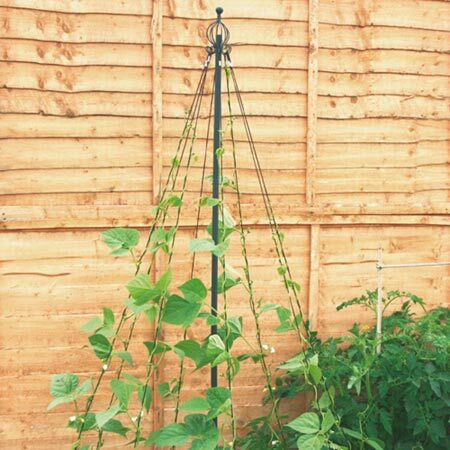 It's ideal for runner beans, climbing french beans or peas, and also perfect for decorative climbers such as sweet peas or clematis. Above ground height 190cm (6'3"); width 100cm (3'4"). An elegant climbing frame that is quick and easy to erect!